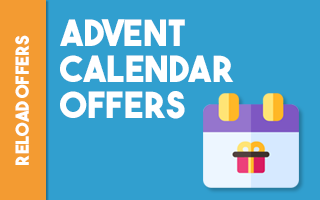 Throughout December there are plenty of free bets and bonuses up for grabs from various bookmakers through their Advent Calendar promotions. Like the real thing, the Advent Calendars are opened every day, and each day reveals a new prize! Not every prize you receive will be profitable or worth doing, and so if you have any questions on a specific prize then please make sure to add a comment on our forum. As a general rule of thumb: Any casino bonuses that are above 20x wagering are not worth doing, unless the bonus is risk free. Not every website offers an Advent Calendar however we have listed some of the main sites below. Some of the sites are slightly glitchy and so you may need to log in first, and then click the links again.